Out of Print 7.75 x 7.5 inches, cloth with slipcase. 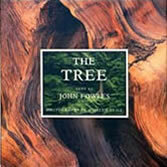 In The Tree, John Fowles (author of The French Lieutenant's Woman and The Magus) contemplates the personal and mythical significance of trees in our lives. Neill's luminous and intimate images of trees in various moods and seasons compliment the essay perfectly.